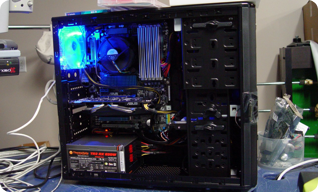 R&A Systems will build your PC to your specifications. R&A Systems, we always take the time to ensure your equipment has been designed and built to operate at or above your specifications. We build your new computer right here in our shop to uphold and maintain our strict level of performance. R&A Systems has been working with small and medium businesses for over 20 years. We understand that you need quality and stability 100% of the time. R&A Systems delivers consistently. At the top of everyone's wish list. You tell us you want tons of power with loads of RAM and storage space. We have heard you. All systems come with an Intel Core I3 minimum and a 500GB Hard Drive. Your not alone! 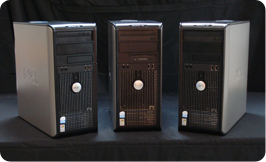 We have many clients asking for Refurbished - High Performance Computers. With these "New to You" computers you get great performance at really great prices! Come on in and take a look. We are quite confident you will be pleasantly surprised by the quality and the price.